There are little baby mushrooms on the right side of the log, and in the picture above, I think the white webby-looking stuff on the bottom may be another cap forming – it has a similar appearance to the cap of the large mushroom, but it hasn’t actually popped out of the log yet, so I can’t really be sure. I’m very excited to eat the shiitake mushrooms, since I know I like them. The oyster mushrooms were very good too, we just didn’t get a lot. 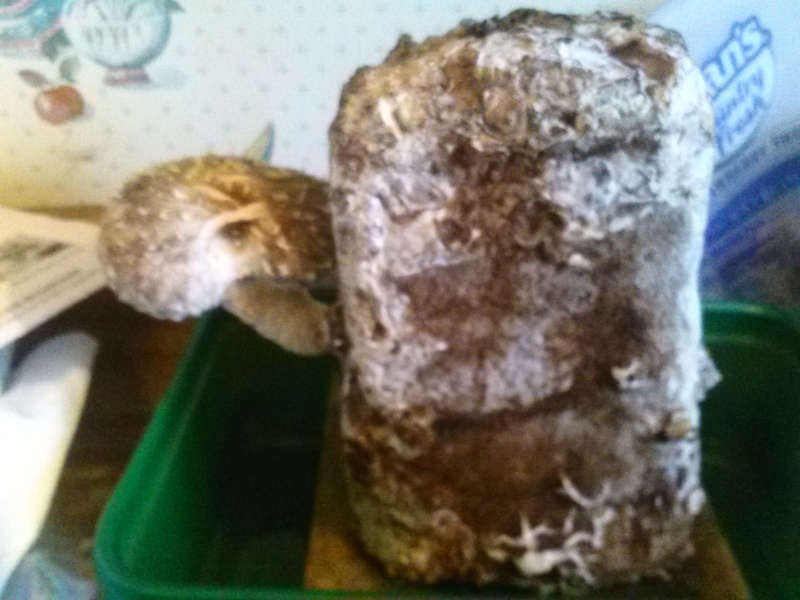 I have the oyster and pom pom blanc logs drying for now, and in a month or two I will try to start them again – you are supposed to be able to get a few flushes. 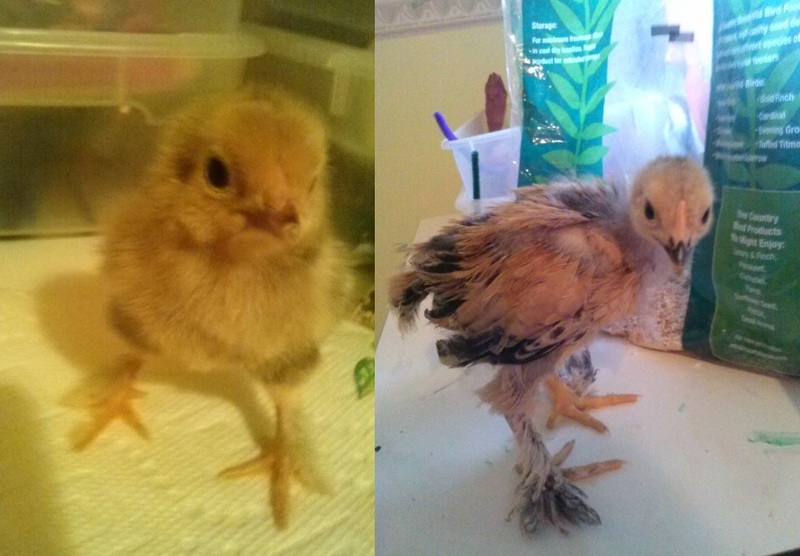 Our six little chicks are growing up. They have changed a whole lot in their three weeks of life. 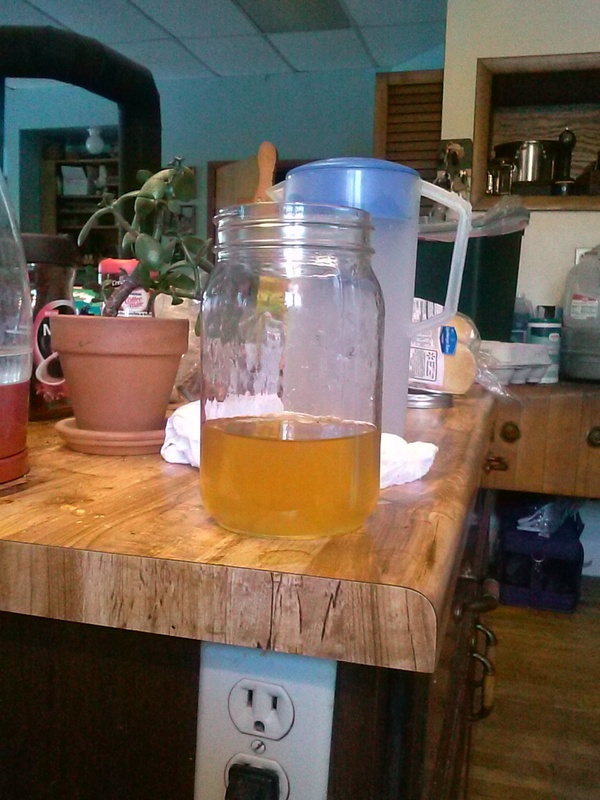 I’m really excited to see their coloring change – some have changed in unexpected ways. I’m sure they will change a lot more as they grow up too. I’ll have to wait to see what kind of chickens they are (and what gender they are) until they are almost or fully adults. 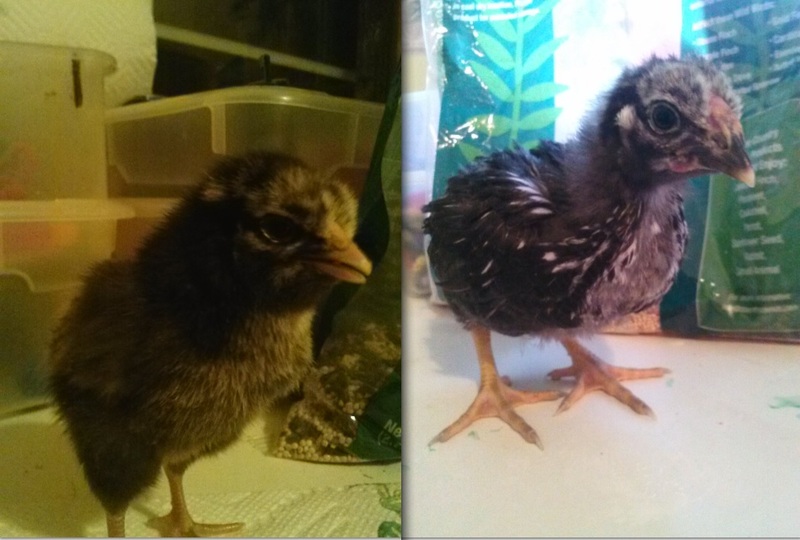 Here are their updates, along with pictures of when I first got them, so you can see the difference three weeks makes. I thought this guy would end up being all white, but he is getting some black in her/his feathers, and also now has a black spot on his beak. 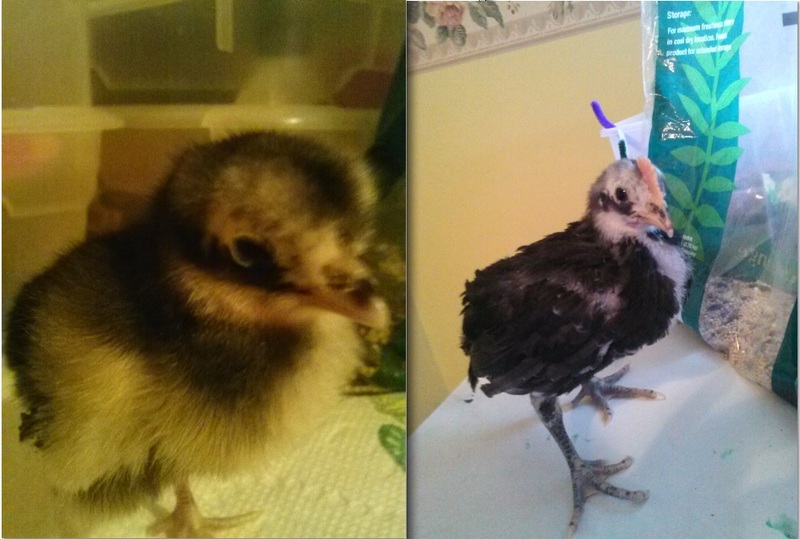 Here’s our little black chick, starting to get more white in his coloring. This little guy already has a comb, which may mean he’s a rooster. Combs can be deceiving though. He looks like he’s wearing a vest from the front now, and his legs are dark and splotchy – I’m wondering if he’s some kind of Maran (copper maran or other). That is just a wild guess though. 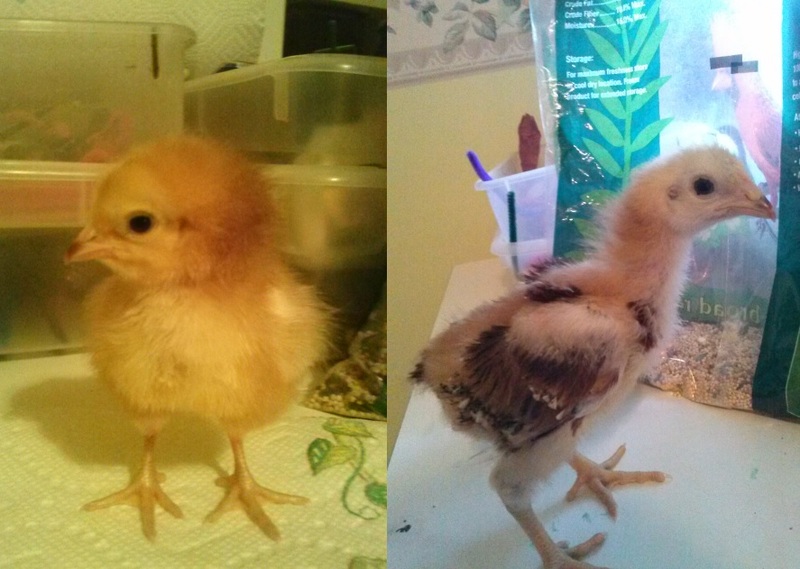 Our little orange chick – now getting some brown in her feathers. 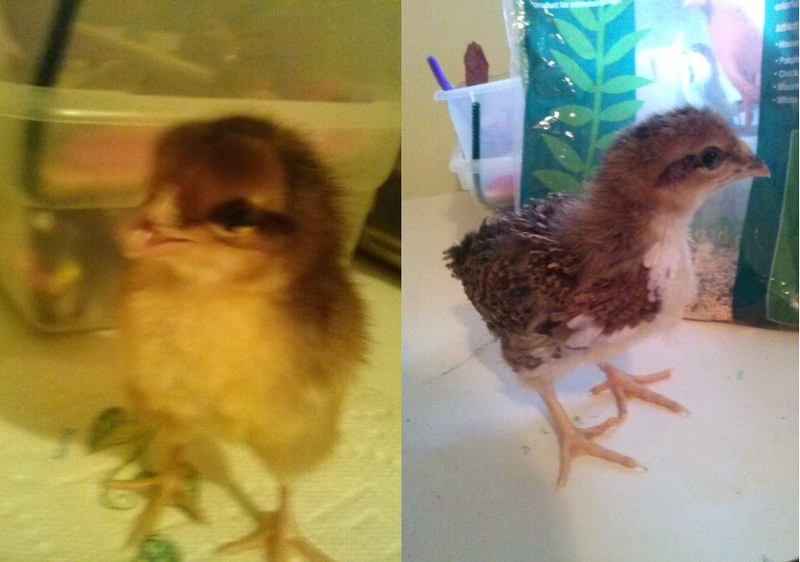 Little mask face – now has brown/black speckles in her feathers, so I think she/he will be a speckled chicken. But it’s really too early to tell for sure – they may change a lot before adulthood. Here’s the feather booted, strong-will-to-live chick. As you can see the feathers on her legs are getting really fluffy. I really like how they look. Her coloring is really nice too – she’s getting some black in her feathers, and a small comb is forming. I’m really enjoying watching them grow. 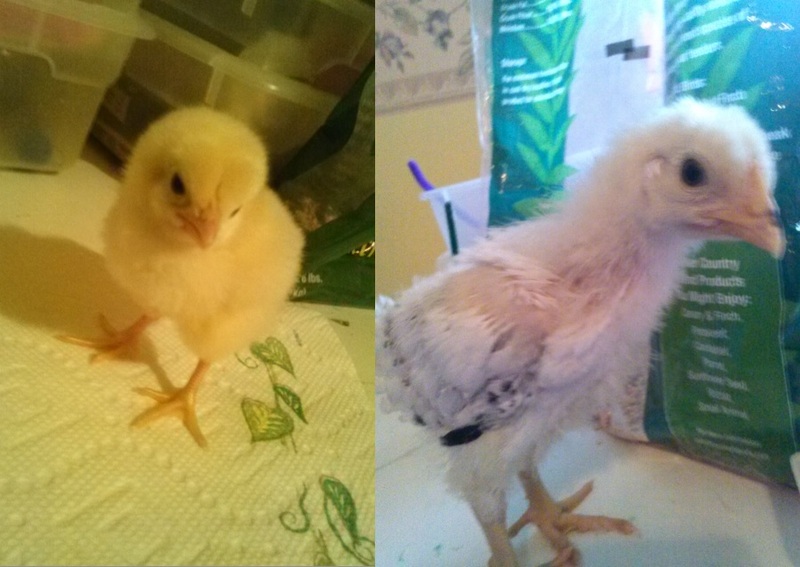 I will be getting the replacements for their fallen brethren around April 20th, so I will have even more chicks to watch grow up at that point. Some day my spare bedroom will stop being a chicken nursery. Until then, this is pretty fun.